Xiaomi plans to roll out the MIUI 9 update for its smartphones in three phases in India. The Redmi Note 4 and Mi Max 2 are the first two devices to get the update and will be gradually available to all users. Xiaomi announced the stable version of its MIUI 9 ROM for global markets alongside the launch of Redmi Y1 last week. The updated version of its MIUI has started rolling out for Mi Max 2 and Redmi Note 4 and the users of these two smartphones can get the update via OTA or manually flash their device. The company says it is being rolled out in a phased manner and some might have to wait a little longer to receive the notification of OTA update. Xiaomi smartphone users can check whether the MIUI 9 update is available for their device by clicking on the Updater app. 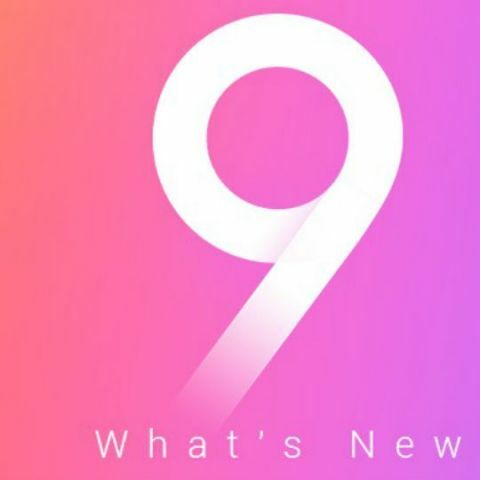 The app will show available update if the latest MIUI 9 is available for your device or alternately users can also grab the update file and manually flash their device to the latest version of Xiaomi's forked Android UI. In order to manually update to the latest operating system, users need to ensure that their device is at least 60 percent charged. They should also ensure that all necessary files are backed up before starting to flash their device. 1. Xiaomi smartphone users running stable ROM should first check for OTA update from updater app. If it not available then they should download the recovery ROM from Xiaomi's website. Once downloaded, users can upgrade to latest version of MIUI by choosing the update package inside updater app and allowing the phone to install and reboot to MIUI 9. 2. For those running Global Beta ROM on their smartphones, Xiaomi recommends using the Fastboot method for upgrading to MIUI 9 stable ROM. In order to fastboot, user must ensure that their bootloader is unlocked and if not they need to first unlock the bootloader using the company provided tool. They must also download and install the Mi Flash tool on their PC in advance. 3. Once the bootloader is unlocker, Xiaomi users must download the Fastboot ROM for their device. Then switch off your phone, press and hold volume down and power button simultaneously to enter the fastboot screen. Then connect your phone to PC via USB cable and click refresh in Mi flash tool. This process should show the device ID. 4. Now extract the Fastboot ROM to a folder on your PC and then select "clean all" in the right down corner. Then click 'Select' and browse to the folder where you extracted the Fastboot ROM and click Flash. This step will start flashing the phone and will take around 3-5 minutes depending on the PC and smartphone. 5. Once completed the smartphone will reboot with MIUI 9. While flashing, users must make sure that they don't remove the device and wait for the device to reboot automatically. In India, Xiaomi is rolling out MIUI 9 in three batches with Redmi Note 4 and Mi Max 2 being the first to get the update. It will then be released for Mi Mix 2, Redmi Y1, Redmi Y1 Lite, Redmi 4X, Mi 5 and Mi Max starting from mid-November. All other devices will get the update sometime in December. Xiaomi is supporting most of its devices including the Mi 2 launched in 2012.